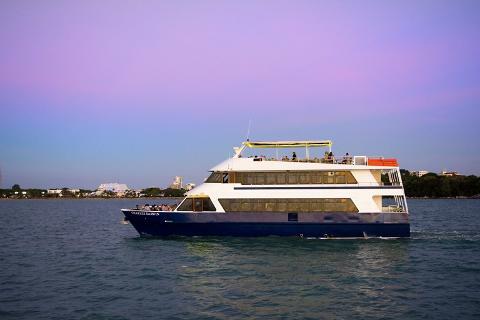 Our Sunset Cruise aboard the 'Charles Darwin' takes in full air-conditioned comfort. 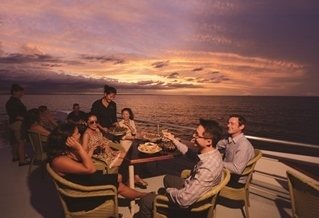 Guests also have access to the Sun Deck (Third, top deck) where the best views of Darwin’s famous sunset are experienced. 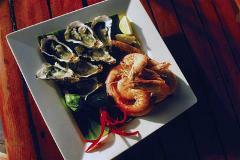 This two & half hour cruise includes a great commentary on the harbour and Darwin’s great history. 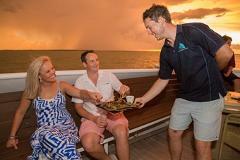 There is a licensed bar on board with great priced drinks and snacks to enjoy. 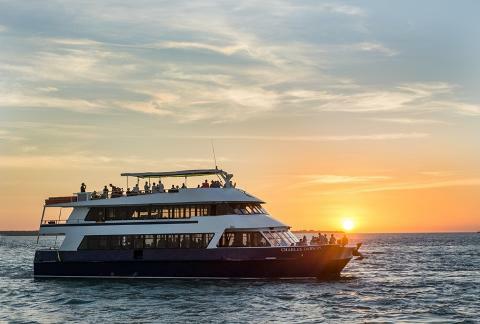 DEPARTURES: March 2019 to December 2019, daily - subject to minimum numbers.